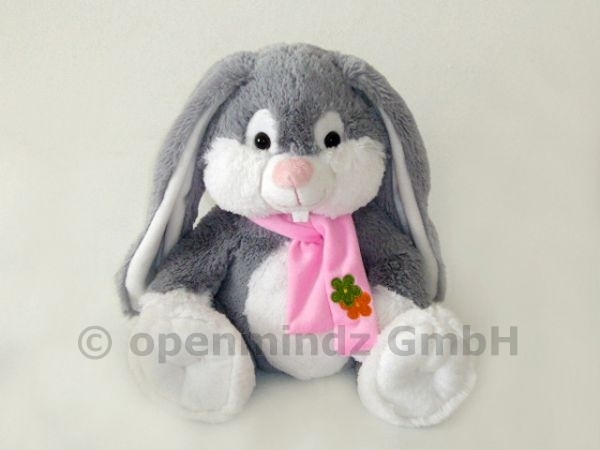 Rabbit Iris is a grey and white plush rabbit made of very soft plush. It wears a pink scarf which shows a flower embroidery. Instead of the flowers we can also embroider your company logo. Iris is about 25cm tall.